Update: Streamers such as Punisher, who supposedly streamed with Ellie, are now stating that the entire thing was a social experiment created by them. Based on their admissions on-stream, Punisher asked a 17-year-old girl to pose as him while he played for an experiment that he has yet to explain. We have reached out to Punisher, who has not replied as of time of writing. There’s a lot of drama in professional Overwatch, but harassment and potential threats of doxxing causing one player to have to step down from her team is not the drama anyone expected. Ellie, a player for Overwatch’s minor league, Overwatch Contenders, has quit the team Second Wind after weeks of harassment accusing her of not being who she says she is. “It’s doxxing time,” the chat message says in the screenshot. “Not for malicious intent, just to figure s— out.” It was from a high-ranked, though banned, player named Haunt. Whereas other players had all used their legal name when participating on Second Wind, Ellie did not. According to Overwatch Contenders rules, as well as Second Wind’s own rules, using your legal name isn’t required, and many players in esports in general go by screen names alone. However, this seemed to arouse suspicion in the community, some of whom began crafting a conspiracy theory that Ellie was using a fake name and, if she were using a fake name, what else could she be lying about? 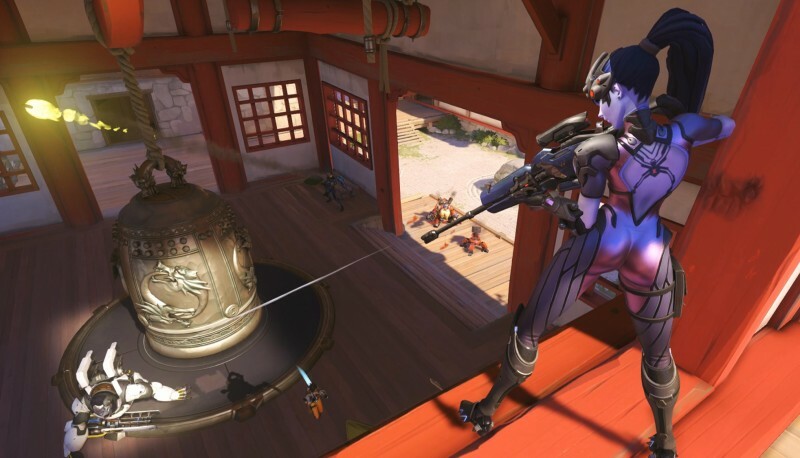 They reasoned that this Overwatch player they had never heard of who had suddenly climbed to the top of the ranking charts was likely a professional player pretending to be a woman. The claim was, of course, entirely baseless. At no point was there any corroborating evidence to support this notion beyond her reluctance to supply her full name. This appeared to only strengthen the fervor around “outing” her, however. Late last night, Second Wind announced that she would be stepping down “due to unforeseen reactions.” Ellie herself simply posted a single-word “sorry” on her Twitter account and has not engaged since. Speculation about the mysterious lives of players will happen as long as society maintains and encourages parasocial relationships with people they’ve never met, but I genuinely do not believe any of this would happen to this extent if Ellie’s name was Steve and she was a man. I don’t think it’s even arguable that it would. Even if she wasn’t who she says – a claim for which there is zero evidence but let’s engage the hypothetical – what right does anyone else really have to know? The claims of esports being a meritocracy where anyone can be good enough to be a part of the club as long as they can play have long been suspect, but this saga essentially proves them wrong. It is no longer about whether you can play, it’s about whether you can prove yourself worthy of the onus we put upon you.